Whiplash injury compensation has unfortunately obtained “nuisance” and “frivolous” status. It’s almost a given that car accident victims will claim whiplash injuries even if they’re not truly injured. Despite this reputation, whiplash injuries are real and potentially serious problems that can warrant significant whiplash injury compensation. Before we explain whether a whiplash injury will result in an injury damage award, we need to define what whiplash is. Whiplash is a type of neck injury that often accompanies rear-end vehicle collisions. It can include both “hard” injuries, such as torn ligaments or broken bones, as well as “soft” injuries, such as trauma to soft tissue, muscles and nerves. Some whiplash injuries may go away over time, or they may linger and require significant medical attention to treat, possibly including surgery. Being in a no-fault car insurance state is very important. To sue for certain injuries in a no-fault state, the individual must have sustained injuries that meet a threshold regarding severity. Therefore, if the injury isn’t severe enough, the person suffering the injury can’t sue. In situations where there are only soft tissue injuries, that doesn’t mean recovering for whiplash injuries can’t happen. However, it’s harder to win a lawsuit. Ultimately, recoveries are usually smaller in these cases than with whiplash that contains “hard” injuries. 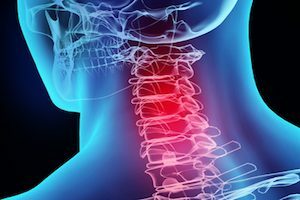 One way to determine if a whiplash injury is severe enough to warrant compensation is to calculate the potential damage recovery due to whiplash injuries. Damages for whiplash can be categorized in two ways: actual damages and general damages. Actual damages refer to objective numbers, such as medical bills and lost wages. These are numbers you can often prove with documentation. General damages refer to subjective things like pain and suffering. There is no perfect way to determine general damages. That’s because there’s no surefire way to put a price on discomfort. Finally, as common sense would indicate, the larger the actual damages, the greater the pain and suffering damages are likely to be. If you think you are entitled to whiplash injury compensation, schedule your complimentary consultation with Williams & Williams, LLC by calling 770-823-2711.